Congress is allowing extreme methods to kill grizzlies, black bears, and wolves in Alaska - for terrible reasons. Picture a grizzly with tiny cubs trundling over the snowy tundra. Or black bear foraging in the woods. Or a wolf family sleepily curled in the den, the cubs at the mother's side. Alaska's wildlife refuges, established "to conserve fish and wildlife populations in their natural diversity," are home to all of these creatures. But in recent years, state officials have ignored both science and direction from the National Park Service, targeting predators with the vain hope of increasing prey species for subsistence hunters. Studies show that caribou and moose populations are mostly limited by availability of food each year. Yet the state has sanctioned and even utilized extreme means to kill predators on nationally protected wildlife refuges. These methods include killing mother bears slowed by tiny cubs, and gassing wolf pups and families as they sleep in their dens. They include bear baiting, snares, and traps. Perhaps most controversial of all, they include hunting bears and wolves via relentless pursuit by small aircraft - gunning them down from the skies. In August of 2016, the federal government finalized a rule to clarify federal protection of predators on Alaska's wildlife refuges, banning these hunting methods. Recently, the new House of Representatives took advantage of an obscure rule that was intended to be an oversight tool, and used it to revoke these protections. The Senate followed suit, and President Trump has now signed the revocation. This means predators are again vulnerable to extreme hunting by trophy hunters and by the state itself. These acts are not condoned by scientists or studies. They're rejected by most of the people of Alaska, and even by many hunters. Predators play a vital role in the ecosystem, keeping prey species healthy, concentrating and moving nutrients, and actually changing the landscape by their very presence. In the last and arguably the greatest wilderness left in the United States, apex predators deserve our protection, and our respect. 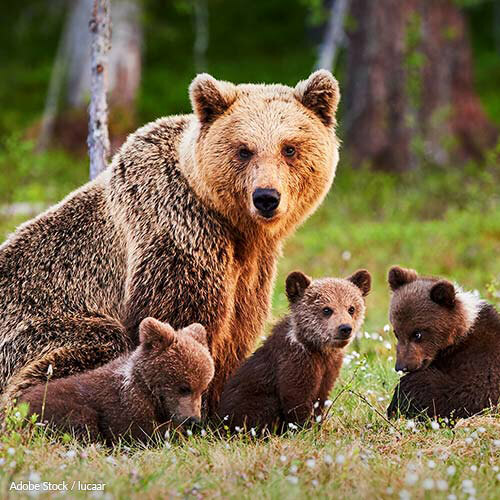 Tell the leaders of the Senate and President Donald Trump that they must act immediately to restore protections for predators in Alaska's wildlife refuges. We, the undersigned, wish to express our urgent concern regarding the passage of H. J. RES. 69, which has revoked predator protections granted in a rule passed regarding Non-Subsistence Take of Wildlife, and Public Participation and Closure Procedures, on National Wildlife Refuges in Alaska. Alaskan wildlife refuges, like all of the federally protected refuges in this great nation, are maintained with the conservation of species and the ecosystem as the primary goal. Those species very much include apex predators, and with excellent reason. Apex predators, including grizzly bears, black bears, and wolves, are vital for a healthy and thriving ecosystem. Study after study has shown that their presence improves the health of ungulates like caribou, moose, and wild sheep by culling the old, sick, or weak. They affect the very landscape, changing how prey species move and forage. They concentrate and distribute vital nutrients throughout the ecosystem, helping the very plants the feed prey species. And their predation has less effect on the ungulate population than the far more important availability of plant food. To sanction and promote extreme hunting methods in these refuges goes against everything they were established for. The rule the House of Representatives would roll back does not pertain to normal hunting of these predators. It addresses shooting mother bears with cubs, gassing wolf families in their dens, using methods that cause prolonged pain like snares and traps, and taking unsportsmanlike advantage of bait stations and airplanes. These methods will not protect wild ungulates that Alaskans rely on, nor are they at all likely to increase the populations or health of these species. Most Alaskans, in addition to biologists and even many hunters, agree that they should not be allowed. Theodore Roosevelt said, "I recognize the right and duty of this generation to develop and use the natural resources of our land; but I do not recognize the right to waste them, or to rob, by wasteful use, the generations that come after us." You must restore these predator protections. Let the grizzlies, the black bears, and the wolves survive in our wildlife refuges, for the generations that come after us to wonder at. That's 9,491 signatures! Let's keep the ball rolling.